Dwars door Vlaanderen has announced the seven wildcards that have been awarded to the ProContinental teams for its 2019 edition. 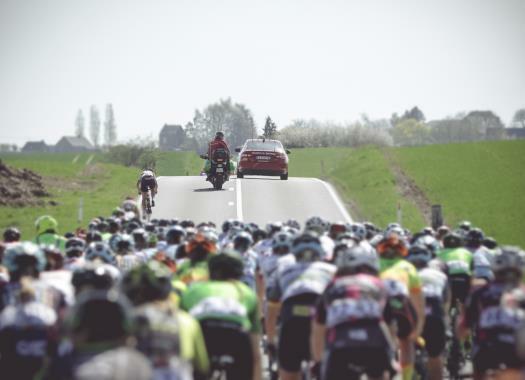 The Belgian race will be held on the next third of April in the familiar course between Roeselare and Warengem in Flanders. One of the most expected wildcards was the one given to Corendon-Circus, which means that Cyclocross world champion and Dutch road champion Mathieu van der Poel can be at the start line. Sport Vlaanderen-Baloise and Wanty-Gobert are the other two Belgian teams that also received invitations for the one-day race. Direct Energie also got a wildcard, which means that two-time winner Niki Terpstra has the option of returning in order to get a hat-trick. Israel Cycling Academy, Cofidis-Solutions credits and Vital Concept-B&B Hotels complete the seven teams that were invited to the Belgian competition. These teams will be joining the 18 WorldTour teams at the start line in Roeselare, where possibly the champion of the last two editions Yves Lampaert will be prepared to defend his title. At the end of 2018, the organisation of the race announced that World Champion Alejandro Valverde will be taking part in 2019 Dwars door Vlaanderen for the third time in his career.